Fotografije dana: 19. jul 2017. 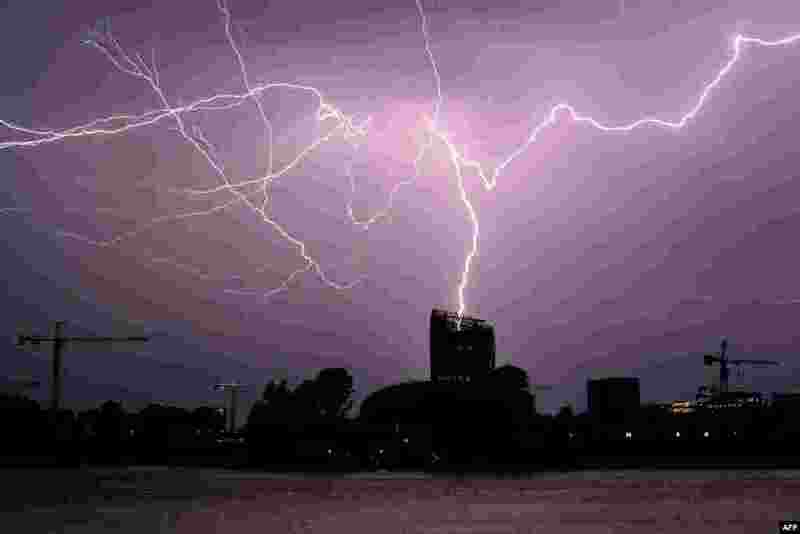 1 Flashes of lightning strike "La Cite du Vin" in Bordeaux, southwestern France, during a thunderstorm. 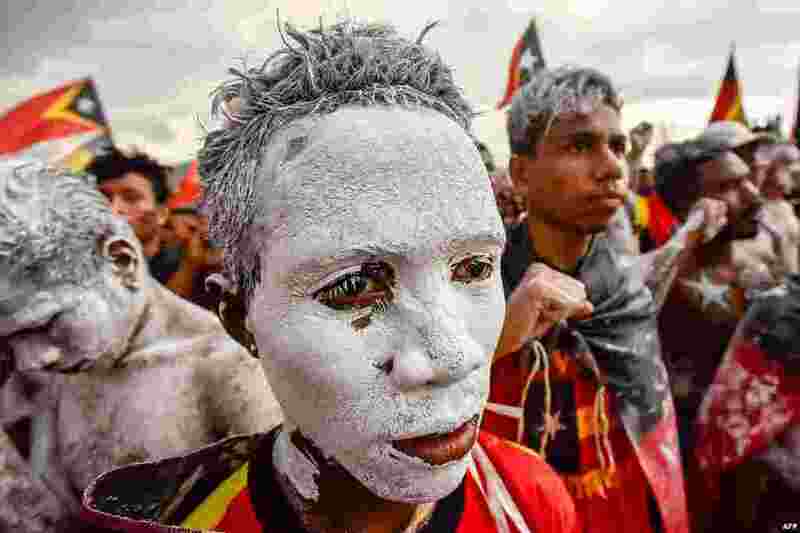 2 Fretilin party supporters participate in an election campaign rally in Dili, East Timor. 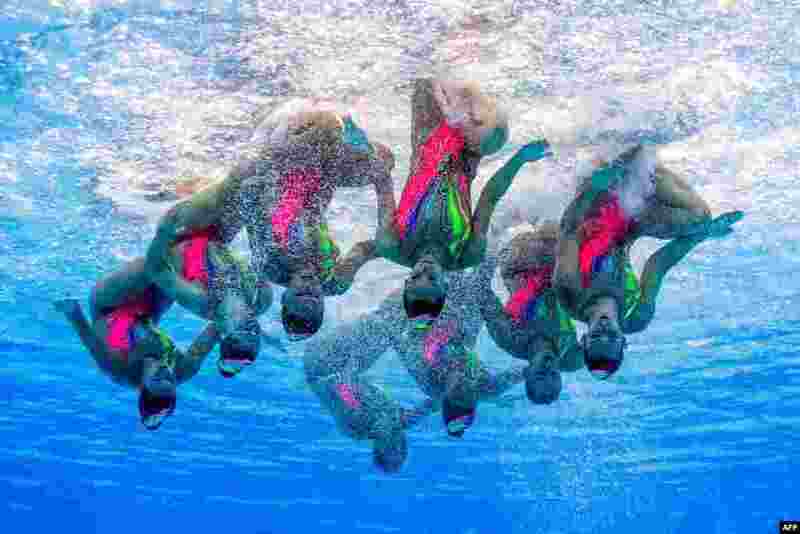 3 Team France is competing in the Women's Team Free Routine preliminary during the synchronised swimming competition at the 2017 FINA World Championships in Budapest, Hungary. 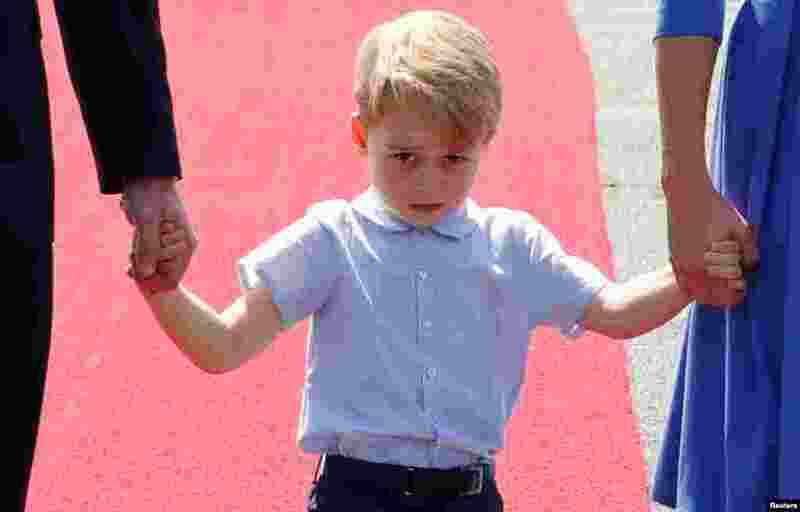 4 Prince George arrives at Tegel airport in Berlin, Germany.